An update to Microsoft's peer-to-peer software for XP, 3°, has been released the 24th of July. A few bugs were fixed and the installation process has been improved. No more guest passwords and crawling through BetaPlace to find it. Use the auto-update function or download the updated version at ThreeDegrees.com. Make sure you go to http://windowsupdate.microsoft.com/ to download the Recommended Update with the Advanced Networking Pack for Windows XP (or get that here). ThreeDegrees works both with MSN Messenger 5 and 6 versions and allows you to chat, express yourself with emotions ("winks"), watch photos and listen to music together with your friends. Important: Make sure all of the people in your groups update at the same time you do, because you won't see people in your groups if they don't have the same version. By the way: for people having problems creating and connecting to groups, Microsoft has created a network troubleshooter. A new MSN 6.0 emoticon font called Perfect Dark created by aRGH has been added to our already giant MSN Messenger emoticon fonts collection. Keep dem emofonts coming! Weirdal27 created the Deep Sea font for you, so get it here. **Update: Weirdal27's Rocky Horror Picture Show emoticon font has been added too. Download here. Mess.be Exclusive AsSeenOnScreen promotion: 10% reduction off every order! Mess.be has teamed up with AsSeenOnScreen -the celebrity / movie / tv fashion shop for him and her- to offer an exclusive 10% discount on every order placed in the next seven days. All you need to do is start shopping here and type in the voucher code mess at checkout! This offer ends July 31st. And yes, they ship worldwide. Happy celeb-shopping! Huuf's batch emoticon/display picture/background adder has been visually and technically improved. Some sort of easter egg has been added and it's 'more' compatible with Plus!. Download here. =[ACO]=Haggard!!! converted the slick Counter Strike font into a great emoticon alphabet for MSN Messenger 6. Gamers and emofont lovers, download here. New kid on the block, jam, got his first and already kicking emoticon font called Wacko Color onto Mess.be. Download it here. There's no need to submit any more ad removers and polygamy patches for the final build of MSN Messenger. Thanks for those who did, but we got everything we want: an ad remover, another ad remover, a polygamy patch and a polygamy utility. While the world is obsessing over the reality TV-show Big Brother, a team of hackers comprising of SpyBoy, Nitro, KTC, 404, Zinho and ElectroPhreak have been running their own little project under the name "Big Sister". For the past month, the team has collected info and personal details on over 400 individuals, some of which can be seen in this screenshot. The initial spying-on-people project hit a mere 13-14 people, so now the team has succeeded in breaking this record big time. Some types of information collected: banking details (goodbye 128 bit encryption! ), sites visited, files downloaded and not to forget countless passwords for sites/programs such as MSN, IRC, ICQ, Hotmail, Yahoo etc. Some high profile individuals were also targetted, including certain UK celebrities who have a fetish for latex and engage in illegal activities online. I'm sure their employers and the British media would be only too happy to know about the info collected. Other sensitive information from supposedly 'secure' locations was recorded as well and public computers were not exempt from the monitoring, infact they produced a wealth of information on the users who use their services in confidence. This all comes together to show exactly the reason that basic computing knowledge needs to be taught in schools and not limited to the more specialist subjects that are used by businesses, such as spreadsheet and database use. People need to be educated about basic security. Surely at a time when the internet is under constant attack by 'experts' such as Carol Smiley who have no clue about our online culture, The answer is not to ban children from the internet, or to restrict peoples usage -this only heightens fear of technology- but to educate. The simplicity of the methods used to gather the information that the Big Sister team have collected is disturbing. Luckily the team did not have malicious intent, or all sorts of havoc could have been wraught. The screenshot shows 259 computers of the +400 we have gained info on. If you want to know if you became a statistic -you have that right- contact SpyBoy (spyboy[at]sysfuck.com) or 404 (404[at]cold40.com). Windows Messenger 5.0 RC2 Build 0337 has been released to beta-testers at BetaPlace.com. "If you got ahold of 335, we recommend uninstalling it before installing 337. As is mentioned on the betaplace website, there is only one very minor difference between the two that very few people are unlikely to run into that has to do with corporate deployments, so you shouldn't feel like you need to move to the new build if you installed 335. We have a very small list of known issues with Windows Messenger 5.0 that are severe enough to warrant changes at this time, so although this isn't the final build it is very close." And Techconnect.ws has the file up for download here. Joe from iE provided us with new excellent emoticon fonts: Pac Man and After Shock. Tnx m8! Well, maybe not that much yet, but since the installation of our current download system in April 2002 we counted over 10 million downloads from Mess.be! 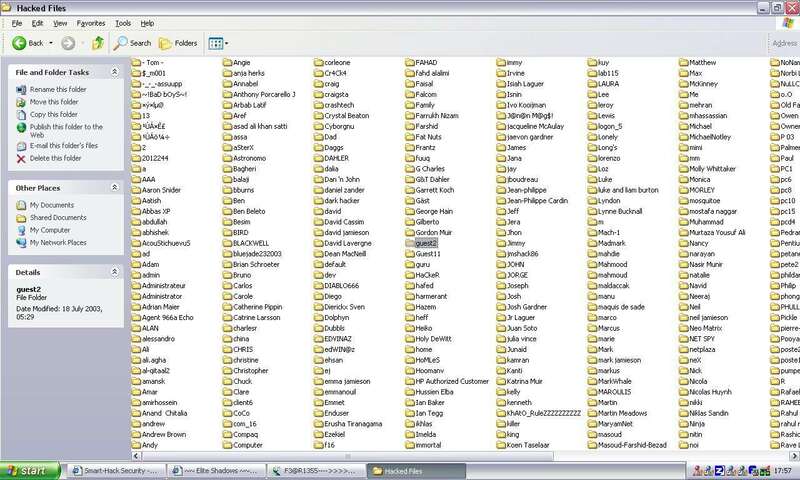 Speaking of our MSN addons, I have received lots of submissions lately and I'll try to browse through them a.s.a.p. to showcase the best ones. "Emoticons reflect the way we feel about a given topic or person. We express our feelings in real life in words and our facial expressions- why lose that in a MSN Messenger conversation? Express the true way you feel." That's how Webtech.tk is advertising its emoticon expression packs: smileys and moods combined into series of 5 custom emoticons. Download it from our emoticon packs section. ShinChan and SpongeBob Squarepants (and you thought *you* had a silly nickname), brought an intelligent chat bot to life, called 2k3Bot. It searches Google for you, brings you the latest news from BBC and Internet.com, plays TicTacToe, WanChi (a gambling game), Hangman and Guess The Number when you're bored, etc. Just add bot2k3[ a t ]hotmail.com to your contact list and you've got yourself a new friend for those lonely, hot Summer nights. Today Bahaa Naamneh reported on a bug in MSN Messenger 6.0.0501 and prior builds, that makes it possible to crash someone's MSN by sending bad, incomplete pictures. If you send an image file to one of your contacts, MSN shows a thumbnail even before the destination accepts the transfer. Now when you send an incomplete file image the thumbnailer will lose the default size, cause a buffer overflow and crash the client. Microsoft's response: "We suspect that we have already fixed this bug as early as build 501..."
Our advice: upgrade to the latest build of 6.0 here to protect yourself from exploits.